Three people have been arrested in connection with the murder of the Handbag Thief Hero. A Bow teenager was seriously injured in a gang fight last night. We haven't heard the last of Gary McKinnon, as a judicial review is granted. The Blackwall Tunnel is to get £70 million chucked at it. Spurs manager Harry Redknapp has been charged with tax evasion. Finally a reminder that not all squatters are artists, or indeed welcome. 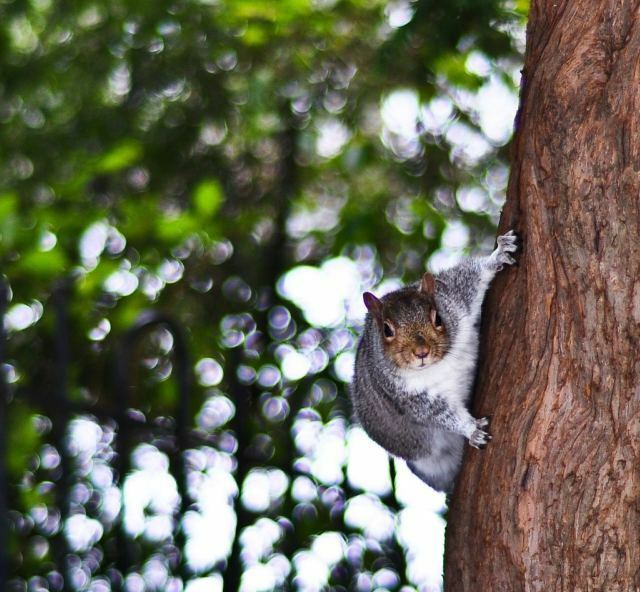 Squirrel, by Big Rock Cat via the Londonist pool.